How do you select a bottle of wine in a restaurant? Faced with a wide selection of wines ranging in price from £20 a bottle to at least £60 or £70, which do you choose? My simple answer is to opt for the house wine, unless it is such a special occasion when you might want to spend a fortune to show how generous you can be. Some might call me a cheapskate. going for the cheapest vino on the wine list, but in my experience, the house plonk is usually fine and affordable. I was encouraged last week to hear that one of the top food and restaurant critics in the UK has the same philosophy as me when it comes to buying a bottle of wine when out for a meal. 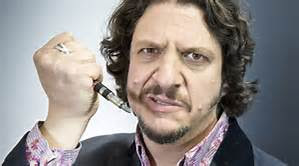 Jay Rayner (below), journalist, broadcaster and frequent food judge on BBC's Great British Menu, has advised diners to order the cheapest wine and only drink expensive bottles at home, because restaurants are such a rip-off. Strong words from a man who knows his chardonnay from his sauvignon blanc. Jay is reported to have said that he refused to be 'intimidated' by a wine list and recalled when a waiter tried to shame him after he attempted to order the cheapest pinot noir, which was priced at £49. His remarks add to years of criticism of the huge mark-up on drinks in restaurants. The Decanter magazine defends restaurateurs who say that an industry standard profit margin on wine is around 70%, although this can vary considerably. Are they taking advantage? They certainly are! Within the wine trade, a mark-up of around three times what the restaurant paid to buy the wine is often deemed acceptable, but it is not uncommon to see it multiplied for four, five or even more times. 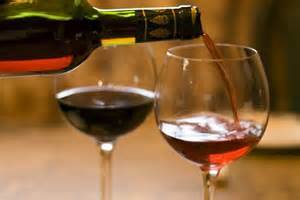 And remember, restaurants can't blame the government's tax on wine for expensive prices. They pay the same amount of tax, like the rest of us, on a bottle of wine costing them £7, as on a bottle costing them £50. 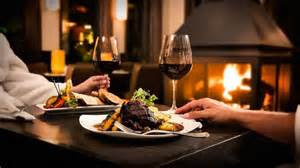 Restaurateurs claim that they need to make money from wine because profit margins on food are tight or non existent and they need to pay for wine glasses, glass washing machines and the wine waiters salary. Maybe so, but how does that justify a bottle of red wine at £2,900 at City Social, a Michelin-starred eatery in the City of London? So next time the wine waiter looks at you as if you are some kind of scum on his heels, when you order for a bottle of the house wine, remember that expensive bottle you have waiting at home ready to drink!